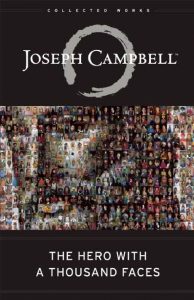 The deeper my relationship with Joseph Campbell, the more I see him everywhere—and not just what I come across for the Campbell in Culture posts I help curate. The references we hear about, the overt mentions, are just the surface. By now his ideas are so built into the education of artists, storytellers, entrepreneurs and academics, seekers and healers, they’ve become part of our culture’s fabric—his words are literally on Superman’s cape and Wonder Woman’s sword. 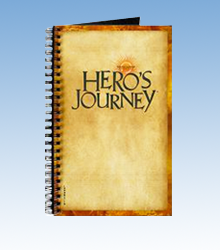 But as much as Campbell and the Hero’s Journey can be seen in the stories we share, for many of us, it’s on our own journeys that he appears as a mentor with supernatural aid. With this brief opportunity to celebrate his birthday on March 26, I’d like to honor him with names, numbers and representations before sharing a personal journey in which he’s currently guiding my perceptions of meaning. NAMES: Barack Obama, Satya Nadella (Microsoft CEO), Ed Catmull (President of Pixar), Brian Chesky (Air BnB CEO), Ray Dahlio, George Lucas, Stephen Spielberg, Kanye, Colbert, Oprah, Jeff Bridges, Russel Brand, Woody Harrelson, Dan Harmon, David Fincher, Ron Howard, John Boorman, Francis Coppola, George Miller, Zach Snyder, Chris Vogler,Christopher Nolan, Jim Morrison, Bob Weir, Bob Dylan, Wynton Marsalis, Keanu Reeves, Molly Ringwald, Joe Rogan, Paulo Cuehlo, Daniel Wallace, Dan Brown, Robert Bly, Viola Davis, Sally Fields, Susan Surandon, Drew Carey, Tony Hawk, Bill Moyers, Hugh Jackman,Sylvester Stallone… These are but a fraction of the world leaders, business tycoons and creative titans who have publicly discussed their appreciation of Campbell or the utilization of his ideas. 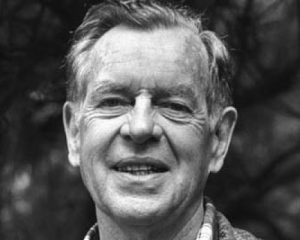 NAMESAKES: There are two academic chairs in his name (at Sarah Lawrence and the USC film school), a Joseph Campbell Library at Pacifica Graduate Institute, Joseph Campbell Writers’ Room at Studio School, and five scholarships (undergraduate and graduate) named for him and his wife. NUMBERS: According to OpenSyllabusExplorer, The Hero with a Thousand Facesis one of the 500 most assigned texts throughout English-speaking schools. Seventy years since its publication, tens of thousands of new readers still pick up The Hero with a Thousand Faces for the first time every year. Thirty-one years after its debut, The Power of Myth remains one of the most popular series in the history of public television, and in 2018, it spent time as the most viewed documentary series on Netflix. On March 26th, Campbell would be one hundred and fifteen years old. REPRESENTATIONS: The cup runeth over with direct references and appearances. His name comes up in a La La Land conversation about LA culture. In Snowden, he’s referenced as the title character’s intellectual inspiration. George Lucas associated Campbell with the elder Dr. Jones while he inspired Spielberg’s vision of Indiana. Dan Brown describes him as an inspiration for his symbologist hero Robert Langdon. And in addition to appearing on Superman’s suit and Wonder Woman’s sword, his words recur throughout 13 Hours. And for every time he appears in the work of a storyteller, he’s cited by hundreds more—from George Lucas to Dan Harmon. And for every storyteller who cites him or his thoughts, he’s inspired a thousand others. By now anyone who watches movies, listens to music or plays video games has loved stories he’s touched. We are immersed in a cultural imagination informed by his ideas. PERSONAL EXPERIENCE: As proud as I am to see Campbell inspire the art of my young students, it’s equally rewarding when they describe how their personal journeys have been supported. There’s no counting how many times and ways I’ve experienced this myself, and I’m experiencing it right now. As I write, Leela, my part-wolf-part-Rhodesian-sweetheart, is in the doggie hospital. She ate the excrement of a drug user as we walked past a construction site; and in the morning, vets found meth, MDMA and opiates in her system. Her fever was 105. Dogs don’t metabolize these drugs. She was out of her mind if not out of her body. Worried about Leela, I could only hope that beneath her near-death fever was some kind of shamanic journey—that the excrement in the story was there to symbolize, as in Egypt, the starting point of transmutation, that her abduction was a response to some deeper call—a smell—towards new growth. Tonight I got to see her. And on the way out the door, I saw the moon—the huge moon. Because she’s part wolf, I couldn’t help but inquire on its fullness. Not only did I find it to be full, but to my astonishment, I learned it was the spring equinox. As some of you may know, this was the first full moon on a Spring Equinox in nineteen years and the first supermoon equinox since 1905. It’s known as a “worm” or “sap” moon. As wolves are associated with the full moon, the spring equinox is associated with new life—with resurrection. Campbell associates all of the above with the crossing of the return threshold and delivery of elixir. As he points out, the return threshold is often a physical barrier—like the surface of the earth—that must be crossed. I teach this. It’s on my mind all the time. So when I read that the “worm” moon relates to the defrosting of earth, the softening of its threshold and its crossing by worms, on one level I recognized its resonance with Leela’s re-awakening, and on another I was stunned by this exquisite demonstration of Campbell’s return threshold. When I read about the “sap” moon, this experience repeated. It’s a sap moon because sap pours through its bark when it waxes to full. Resurrection, delivery of the elixir, and the return threshold are indivisible from one another, and I couldn’t have been happier to encounter their cluster. I can’t know if her journey was entangled with the psychles of nature, but I know my relationship with Campbell’s work brought hope and meaning to a devastating experience. Leela is OK. Tomorrow she will open new eyes with the first spring morning. Happy Birthday, Joseph Campbell. Thank you for inspiring our art and aiding our journeys. Seventy years of The Hero with a Thousand Faces, and we see it all around us. What we don’t see, what we hear only as echoes, are the inner journeys to which it brings aid, guidance and mentorship. 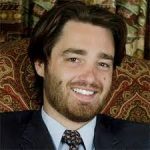 Will Linn holds a PhD in mythological studies with an emphasis in depth psychology from Pacifica Graduate Institute in Carpinteria, CA; a BA in philosophy from the University of the South in Sewanee, TN; and a CORe credential from Harvard Business School. He serves as Intern Coordinator for JCF and aids in curating the Campbell in Culture and JCF Resources areas of the JCF website. His dissertation focuses on Classical, Abrahamic, and scientific origin stories of knowledge and is entitled Western Myths of Knowledge: Particles of Stone and Waves of Elixir. He currently co-hosts a radio show that he created for the Santa Barbara News Press called Mythosophia, in which he interviews leading story artists and scholars from such territories as myth and religion, sci-fi and fantasy, visions and dreams, rituals, novels, films, comics and other storytelling formats and mediums. He is in his fifth year as founder and host of the Joseph Campbell Foundation Mythological RoundTable® group of Ojai, CA, which meets beneath the historic Teaching Tree at The Ojai Foundation. He also writes the newsletter for the global grass roots network of Mythological RoundTable® groups (60+ on 6 continents). In the last five years he has been a leader and participant on research tours through England, Prague, Israel, Jordan, Turkey, Greece, Italy, and the Vatican. These tours were oriented around his mythological interests in Arthurian legend and the Holy Grail, the Golem and alchemy, Abrahamic religion and Classical mythology. He is the oldest of five closely knit-brothers and has had the good fortune of having lived in Birmingham, AL; Findlay, OH; Detroit, MI; Sewanee, TN; Myrtle Beach, SC; Orlando & New Smyrna, FL; Ojai and Los Angeles, CA. Will currently serves as the department chair of the General Education at Studio School, a performing arts college in downtown Los Angeles.